This entry was posted in Academic achievements, Students and tagged Honors College, Truman Scholar on April 12, 2013 by Wire Eagle. 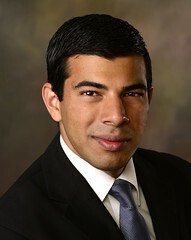 AUBURN UNIVERSITY – Auburn University Honors College student Azeem Ahmed has been awarded a Harry S. Truman Scholarship, one of the nation’s top academic awards bestowed on college juniors. Ahmed, who is double-majoring in finance and economics and minoring in public health, is one of only 62 recipients nationwide selected by the Harry S. Truman Scholarship Foundation; he is the only recipient from the state of Alabama.